Here we go again! It's the 13th Annual Rescue Roundup! Hang on While We Update our Website for 2019! Wheeler Park in Downtown Flagstaff! 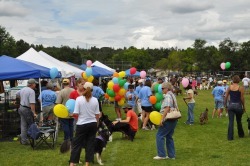 Come rock the Rescue World on July 27th as we bring you the biggest and best adoption event in Northern Arizona. We had 50 animals go to their new homes last year! Dozens of Rescues and Shelters from throughout the state will be bringing adoptable animals. When considering a pet, please check out rescue or shelter animals. Shelters are overrun with animals and sadly, 6 out of 10 animals are euthanized in some shelters because of lack of space. Rescues can not keep up with the demand though they try to save as many as possible. Spay or neuter your animals to help prevent overpopulation and to promote their health. What is the Rescue Roundup? 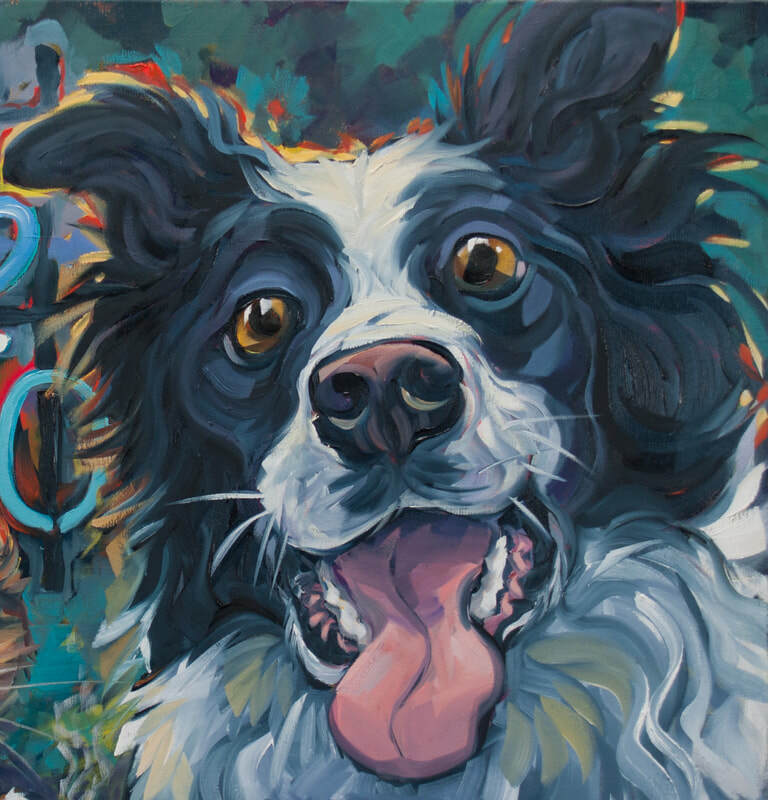 The Rescue Roundup is the biggest event in Northern Arizona to educate the public about adopting animals from shelters and rescue organizations. 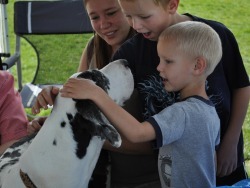 Over 40 different rescues, shelters and vendors attended the 2014 Rescue Roundup. 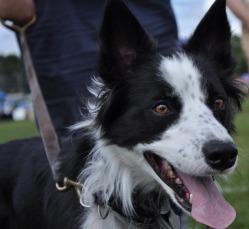 This event includes various demonstrations and canine activities that focus on alternative interests in canine involvement such as agility, disc dogs, and herding. Animal friendly and unique vendors also attend this venue to market and distribute their products. The Rescue Roundup is not all dogs either! Look for cats and kittens from various rescues like Paw Placement and horses from Hands-on-Horses. 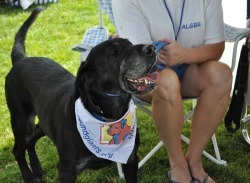 The awesome dog rescues vary from AZ Chihauhau Rescue to Great Dane of Arizona Alliance. So Why Should You Consider Adopting From Rescue or Shelters? 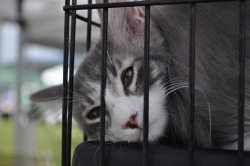 The sad facts are that over 156,000 animals are brought to Arizona shelters every year. Six out of ten of these animals will never find a home to love them - they will be euthanized. This is a conservative number. Many animals are dumped or relinquished by their families that have been struggling with the economy. So many of these animals are victims of foreclosure, family moving to smaller dwellings - nothing that they have done wrong. A shelter can give safe haven for a short amount of time, but there are so many to help. Rescues offer an alternative and can keep animals in a foster home situation. Adopting from a shelter or rescue will make room for another animal in need. Can I Adopt An Animal At This Event? That depends on the shelter or rescue organizations requirements. All of the animals are available - some organizations ask for home checks and pre-approval before adoption. Others may require paperwork. Some may hold an animal for you until the requirements are met. Rescues and shelters will also have a fee to adopt their animals. This fee helps cover the cost of preparing animals for adoption. Most rescues and shelters provide spay/neuter certification, rabies, and all current shots to protect your new companion. Microchipping may also be included. So Why Does AZ Border Collie Rescue Do This? We are an organization dedicated to RESCUE. Every animal deserves a second chance. Many of our members spend time helping other rescues - whether it be emailing pleas for help or transporting with a cross country effort. This event's purpose is to spread the word about rescues and to give the public an awareness of an alternative to pet shops and backyard breeders. Have a question about a certain breed? This is the place to find some answers. 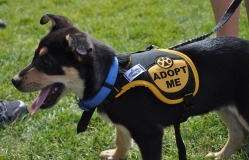 An event such as the Rescue Roundup spotlights fosters that are available for adoption. Potential adopters have the opportunity to meet several fosters that may fit their families lifestyles. Responsible animal guardianship is stressed. We require all our fosters to be spayed/neutered, vaccinated and microchipped. we also offer microchipping at the Rescue Roundup for a nominal fee. Can I put in an application ahead of time? Yes! Every rescue listed here will have a link to their website. We encourage you to apply online or contact the rescue or shelter you are interested in adopting from before the event. Depending on the individual requirements of the rescue or shelter, it may take a few weeks to be eligible to adopt from a specific organization. Will the animal I am interested in be at the Rescue Roundup? If you have a specific foster in mind, ask the rescue to bring him or her to the Rescue Roundup! This is a good place to meet your new best friend. If you already have a companion, and are looking to extend your family, bring your pal to see how they react with each other. There are areas in the event which are away from the action to allow you a quieter location to get acquainted. If you are pre-approved, you may be taking your new friend home that day! Get your dog microchipped at the AZ Border Collie Rescue Booth! Looking for a Place to Stay in Flagstaff? There are also many hotels and B&B's that allow dogs in Flagstaff. Google "Pet Friendly Hotels in Flagstaff" and you will find plenty of options. 3:00 pm This Year's Rescue Roundup is History!